Lexington, KY – October 5, 2011 – The Alltech National Horse Show’s debut at the Kentucky Horse Park in Lexington, KY, is just a few weeks away, and local rider Christina Kelly is quickly preparing for her own debut at the event. 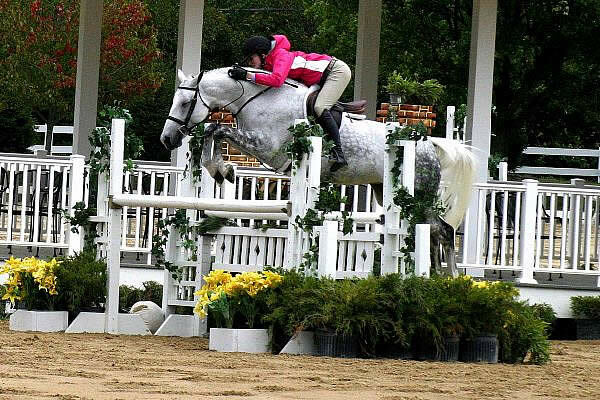 Kelly is based out of her family’s Diamond Edge Farm in Nicholasville, KY, and will be competing in the $25,000 Junior Jumper Division, as well as the $50,000 SJHOF Junior/Amateur Championships, sponsored by Sleepy P Ranch, Chansonette and Deeridge Farm. Although Kelly represents Ireland, she has been competing in the United States for a number of years and has taken the circuit by storm in 2011. She has won numerous Junior Jumper Classics aboard her three talented mounts: Camirage, Creata Van Ten Biesen, and HH Narcos Du Marais, which have all earned a spot on the qualification list for this year’s Alltech National Horse Show. Lexington, KY – October 3, 2011 – The National Horse Show Association of America is pleased to announce the finalists for the 2011 ASPCA Alfred B. Maclay National Championship Finals. Attached is the list of riders who have qualified to compete in the Finals on Sunday, November 6, 2011, at the Alltech National Horse Show, 128th edition. The Championship Finals will be presented by C. M. Hadfield’s Saddlery as one of the highlight events of the Alltech National Horse Show. For more information, please visit www.nhs2011.org or www.nhs.org. Maggie Jayne and Bella Blue Sweep Regular Working Hunters and $1,000 Open Hunter Classic at Showplace Fall Classic last year. Lexington, KY – September 30, 2011 – The weeks are growing increasingly closer until the much anticipated Alltech National Horse Show makes its debut at the Kentucky Horse Park in Lexington, KY. During this prestigious competition, many of the top professional hunter riders will show against one another to earn the top honors in their respective divisions. Some of this year’s big names include professional riders such as Maggie Jayne, Archie Cox, Jennifer Alfano and many more. The Alltech National Horse Show will be held November 2-6, 2011, at the beautiful Alltech Arena. We often hear from people asking us about attending events in their area and it is challenging to be everywhere we want to be. But, you’ll find that Texas, Georgia, Nevada, Florida, Kentucky and Tennessee are represented! If you’re hosting an event that you’d like to benefit EAF, let us know and we’ll help you make it a big success! In Nov., we’ll be hosting a celebration and launch of EAF’s endowment program, which honors legendary horsemen Charlie Weaver. We’ll be at the Alltech National Horse Show in the Gracie Street Garden in Lexington, Ky., which seems natural as Charlie was so successful at the National Horse Shows of the past. Join us as we start a new chapter and be part of a legacy that continues to help those in need for years to come. The EAF is proud to take part in two events coming in October, where we’ll be the beneficiary of silent auctions. The first is a country music party, auction and awards hosted by the Women’s Horse Industry Network. 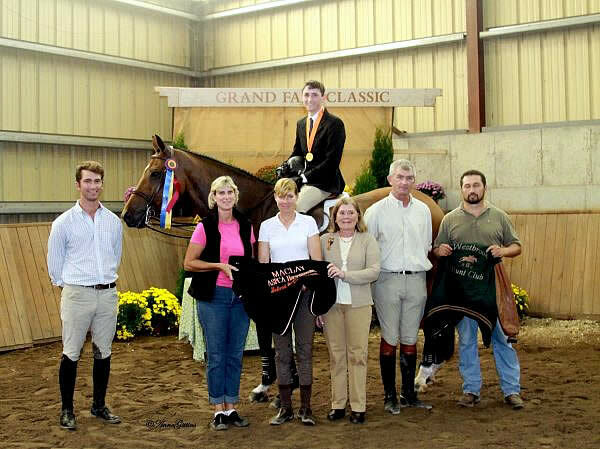 The second is a BBQ and auction held during the Southeastern Fall Classic Hunter Jumper Show’s mini prix near Atlanta. It will be exciting to share EAF’s mission and good works with new friends. Make sure you catch the recaps of the first helmet incentive at the Supreme Extreme Mustang Makeover and the 3rd Annual Play It Forward Poker Tournament at the High Roller Reining Classic. It’s always so much fun to see those highly competitive reining riders take it to the poker table! Visit our Facebook page to see some great shots from EAF Friend Alden Corrigan! This event would be impossible without her and Mandi Brumley of Brumley Management Group. Thanks to all for again putting on a terrific show and event. Special thanks to our sponsors FarmVet and an anonymous donor, and to all the wonderful companies that provided a fully stuffed goody bag for the players. Lexington, KY – September 30, 2011 – Nine Olympic veterans, including four gold medalists, highlight the talented roster of riders scheduled to compete at this year’s Alltech National Horse Show at the Kentucky Horse Park in Lexington, Kentucky on November 2-6, 2011. This year’s debut event in Kentucky, designated a CSI-W 4*, will feature a big money Open Jumper division with over $370,000 in prize money, including the main event, the $250,000 Alltech National Horse Show Grand Prix, an FEI World Cup qualifier, on Saturday night. All in all, over $600,000 in prize money is up for grabs in November. “That brings this show on par or better than any show in North America, or any indoor show anywhere in the world,” noted show manager Hugh Kincannon. 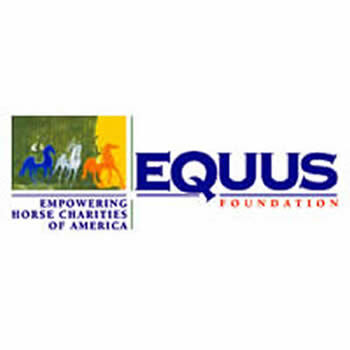 American Olympians McLain Ward, Laura Kraut, Lauren Hough, Joe Fargis, Margie Engle and Todd Minikus will lead a stellar field of riders, representing eight different nations at this year’s show. 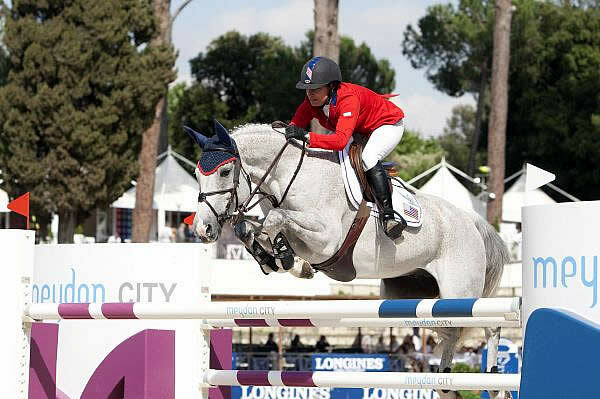 Currently ranked number two in the Rolex World Rankings, two-time Olympic Gold medalist McLain Ward will be joined by his Athens and Hong Kong teammate Laura Kraut. Joining this dynamic duo is veteran rider Joe Fargis who secured Olympic Gold in Los Angeles in 1984. Margie Engle and Lauren Hough, members of the United States Olympic team at Sydney, Australia are also scheduled to compete in Lexington. Engle and Ward are currently ranked one-two on the list of all time grand prix wins in North America. Michael Hughes won the 2011 ASPCA Maclay Region 1 "Northeast" Championship. Photo © 2011 Anne Gittins. Wellington, FL – September 28, 2011 – This weekend concluded the 2011 ASPCA Maclay Regional Championships with the final competitions held for Regions 1, 2, and 4. Championship honors were awarded to Michael Hughes, Lillie Keenan, and Catherine Tyree for their incredible rides in each of their respective regions. The talented riders also earned an invitation to the Alltech National Horse Show in Lexington, KY, to compete for the top spot among the nation’s best junior riders with the 2011 ASPCA Alfred B. Maclay Finals presented by C. M. Hadfield’s Saddlery. The Region 1 “Northeast” Championships were judged by Jimmy Torano and Jimmy Lee at the Grand Fall Classic in Westbrook, CT. Michael Hughes of Morriston, FL, caught their attention with his smooth and precise ride aboard Co Co Pop, winning top honors without entering the ring for additional testing. Hughes showed against 60 of the top juniors in the Northeast states of CT, MA, ME, NH, RI, and VT. Charlotte Jacobs of East Aurora, NY, finished in reserve for the second consecutive year. Region 2 “East” Championship was held on Saturday, September 24 for the states of NJ, NY, and PA at Old Salem Farm in North Salem, NY. Judged by Rita Timpanaro and Chrystine Tauber, top honors were awarded to Lillie Keenan of New York, NY, aboard Catherine Cowie’s Vidarco. Samantha Schaefer of Westminster, MD rode to the reserve honors. Wellington, FL – September 22, 2011 – The 2011 ASPCA Maclay Regional Championships continued this past weekend with competitors for Regions 5, 6, 7 and 8 vying for the top honors in their respective regional competitions. On September 18, 2011, talented horse and rider combinations began competing to place in the top 60% of their classes, earning the top combinations an invitation to the prestigious finals held in Lexington, KY for the Alltech National Horse Show. Taking home the blue ribbon prize and winning title for their regions were Sarah Milliren, Brooke Pettet, Madison Cameron and Morgan Geller. Competing at the St. Louis National Charity Horse Show in Lake St. Louis, MO, the Region 5 “Central” Championships were judged by Linda Andrisani and Alex Jayne. The “Central” Championships were one of the few finals that did not ask for additional testing from the judges. The riders were only judged on the course and the flat phase. The Central Region includes top competitors from AR, IA, KS, LA, MO, MN, ND, NE, OK, SD, TX, and WI. It was Sarah Milliren who rode Terrapin, owned by Walstib Stables LLC of Rumson, NJ, to the top honors, claiming the championship award. Megan Bifano and Urco, owned by Gabby Slome of Riverdale, NY, claimed the reserve championship honors. Lexington, KY – September 21, 2011 – The Alltech National Horse Show, 128th Edition, is pleased to announce that the Qualifying Lists for this year’s event are now available online. 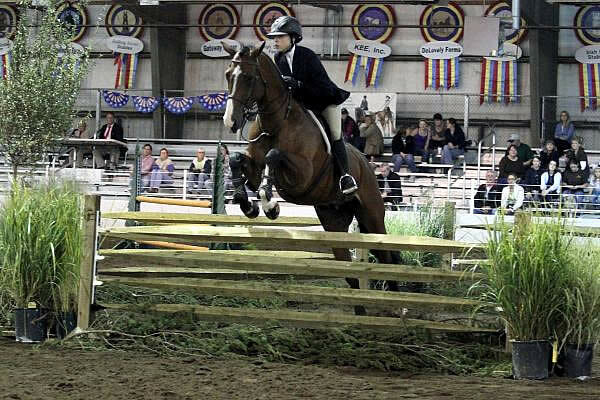 Please visit www.kentuckyhorseshows.com to view the lists of horses in the Amateur-Owner Hunter, Junior Hunter, Professional Hunter, Junior Jumper, and Amateur-Owner Jumper divisions that have qualified. Exhibitors may also download the prize list and entry blank for this year’s show online. The Alltech National Horse Show, 128th Edition, will be held from November 2-6, 2011, at the beautiful, new Alltech Arena at the Kentucky Horse Park in Lexington. This year’s show, designated CSI4*-W, will feature a complete schedule of ‘AA’-rated hunter divisions, including the Pony Lane Farm High Performance Hunter section. Also on the agenda, a big money Open Jumper division highlighted by the Sasco Creek Farm $50,000 Welcome Speed Class, the $75,000 Double H Farms Thursday’s Jump-Off class, the $60,000 Spy Coast Farm Faults Converted Speed class on Friday and of course, the $250,000 Alltech National Horse Show Grand Prix, an FEI World Cup qualifying event. $100,000 will be up for grabs for the Junior and Amateur Jumper divisions, including the $50,000 SJHOF Junior/Amateur Championships, sponsored by Sleepy P Ranch, Chansonette and Deeridge Farm. The final Sunday is highlighted by the signature event of the National Horse Show, the ASPCA Alfred B. Maclay Finals, presented by C. M. Hadfield’s Saddlery. 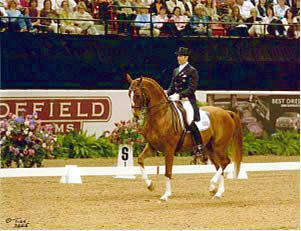 Wellington, FL – September 14, 2011 – Robert Dover, dressage expert and former Olympian, will host the President of the National Horse Show Association on an upcoming session of his popular radio program, Dover’s World. Mason Phelps, Jr. who also runs Phelps Media Group in Wellington, FL, will appear on the September 20th program of Dover’s World to discuss the 128th Alltech National Horse Show. Joining Phelps and Robert Dover will be Leo Conroy, co-manager of the Alltech National Horse Show and Vice President of the National Horse Show Association of America. Tickets are already on sale for this prestigious event, and listeners can tune in to Dover’s World next Tuesday to learn all about this year’s highly-anticipated contest. 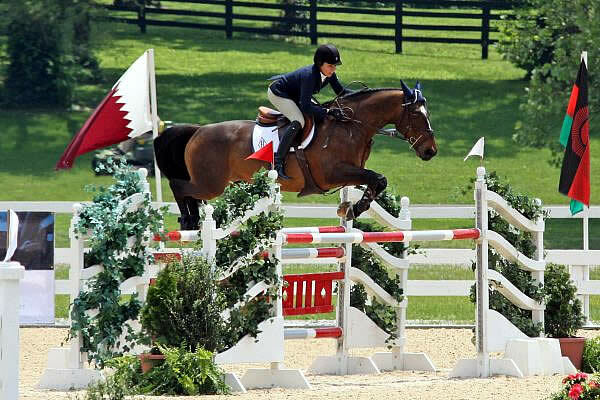 Taking place this year at the Kentucky Horse Park in Lexington, KY, the Alltech National Horse Show will feature a wide array of both hunter and jumper events. In addition, the ASPCA Alfred P. Maclay finals will also occur during the show’s five-day run, November 2nd-6th, 2011.